It's that time of year when we embrace the creepy, seek out the eerie, and evoke the haunted. It's one of my favorite times of year! 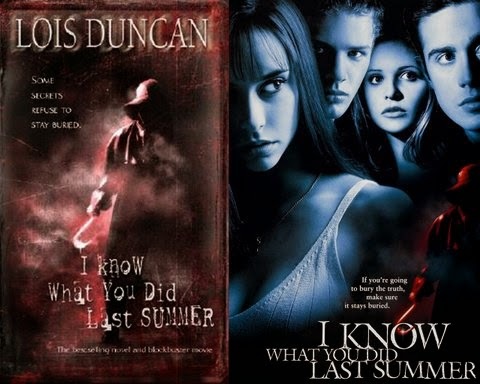 Did you know that some of the best scary movies were inspired by books? that started out as creepy books…View at your own risk!! 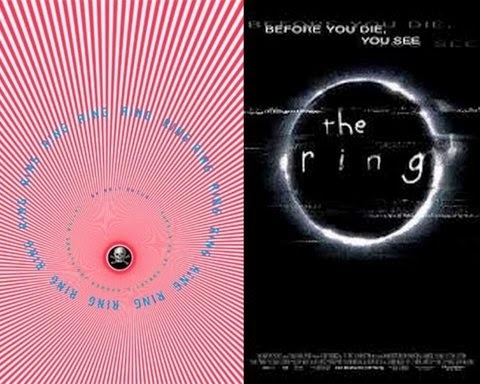 I watched The Ring at a cabin very late at night and have never recovered! It still scares me to this day! 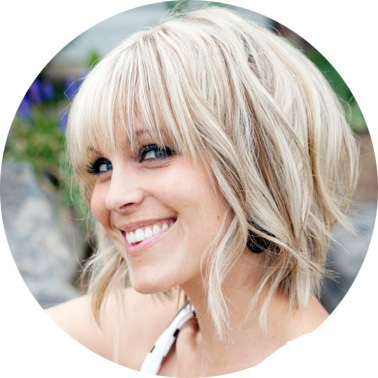 Be leery if anyone tries to hand you a copy to watch… Make sure it's really just the movie! 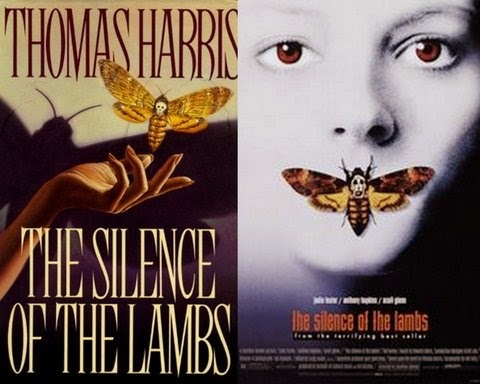 This book and movie has been scaring the skin off people for years. If you haven't entered the mind of Hannibal Lecter… this is the year to do it. 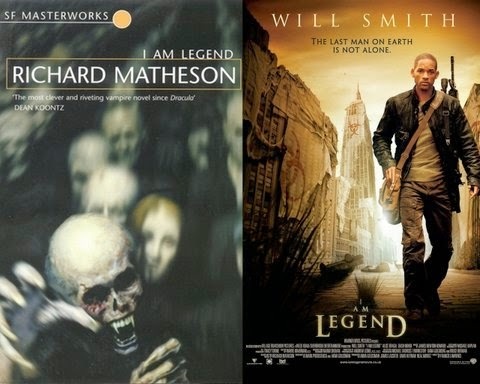 Who knew that the Will Smith movie with that creepy scene where they are all huddled together was inspired from a book? 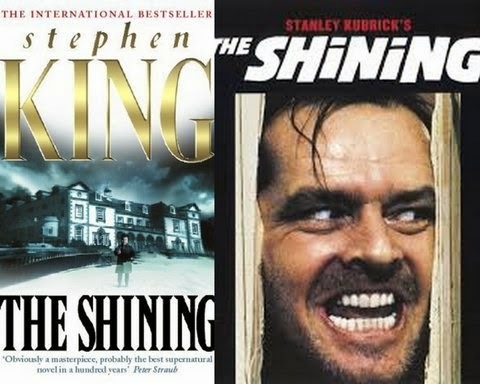 If you loved The Shining, you may be interested to know that Stephen King released a sequel to the story in 2013. 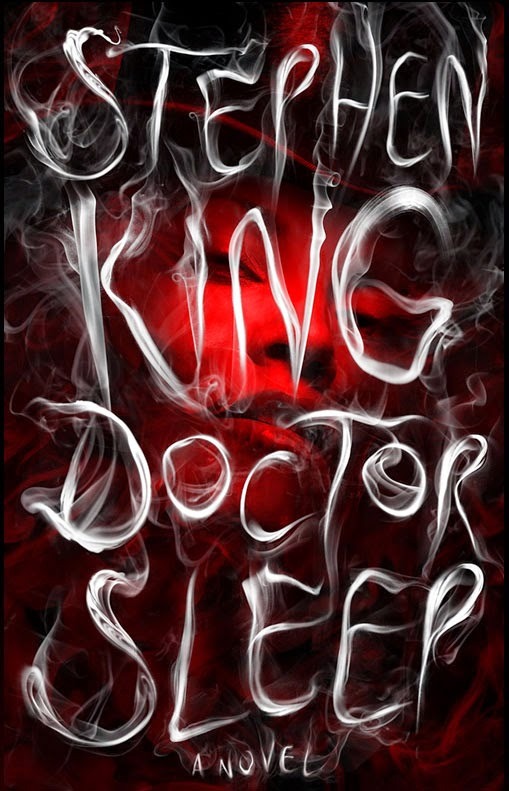 The books is called Dr. Sleep: Stephen King returns to the characters in The Shining in this riveting novel about the now middle-aged Dan Torrence and a very special twelve year old girl he must save. You better be careful…someone always knows what you're up to. 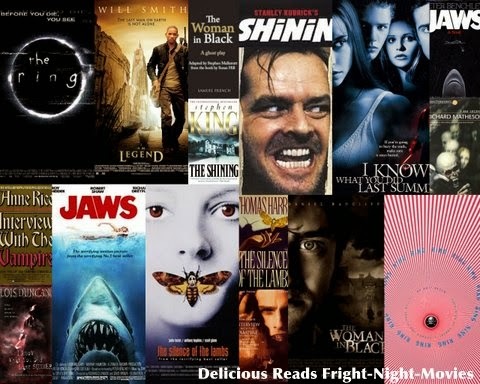 We read this book in 2010 for our Delicious Reads Halloween Selection. 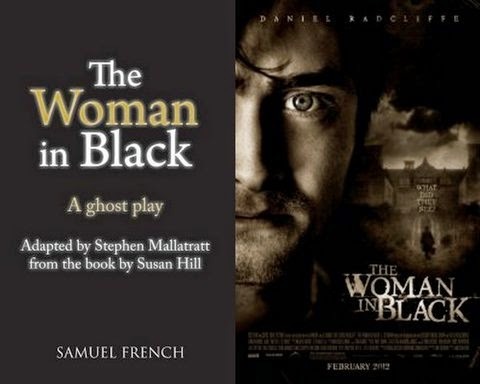 It was interesting to read the book and then watch the movie. This is a very different take on Vampires than the more recent Twilight. Here are a few pics from our evening back in 2010 for this book. You can see the whole Photo Recap for Interview with a Vampire here. 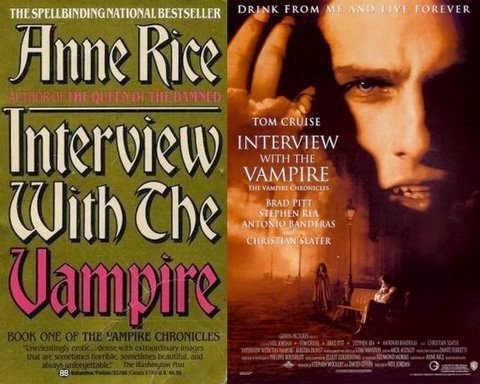 You can see our Book Review Recap for Interview with a Vampire here. I haven't seen this one yet but it definitely looks creepy! Plus it's always fun to see an actor you've loved in other movies play someone totally different. 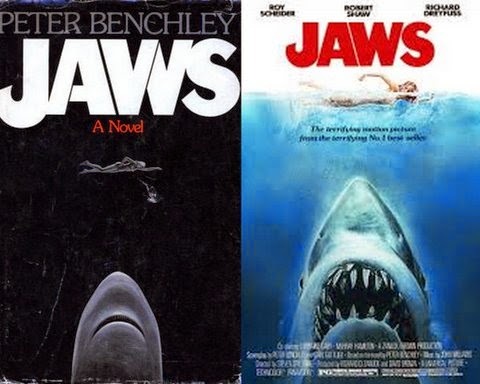 This movie is the bane of every swimming encounter I have. I will forever feel like a gigantic shark is lurking beneath me! Congrats! You've made it to the end of our list. That means you're brave enough to try out the actual movies. Hopefully this helps you get in the halloween mood! !